This decorative futon will bring a casual style as well as convenience to your home. The piece features pillow-top cushions with tufted channeling for a comfort that allows you to sink into it. The legs are a high shine chrome and give the piece a modern look that provides any room with an updated feel. 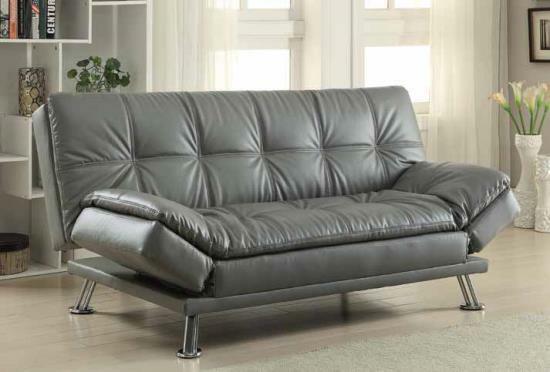 This sofa bed is ideal for very casual living rooms, family rooms, apartments or dorms. It's also a favorite in teen-age bedrooms for relaxing and easily accommodating sleep over guests.